The BGAE Guest Posts continue and next on deck is my brother WIM aka the Larry David of Black Twitter and the man responsible for talking me into the ratchet horoscope biz’ness. Read, Enjoy, Learn– I’m sleep. He wanted a simple yes or no response, but I needed more information. So we are all on the same page, I will give some background info on my friend: He is a young, single, Black male who lives in a large city. Like many of us – considering the 2010 Census revealed America is 72.4% Caucasian (that is 223,553,265 White people for those of you keeping score) – the City he lives in is predominately White. Conversely, there are only 12.6% Blacks in America. Since my friend is a heterosexual male, after removing men, accounting for only women of appropriate (or legal) dating age, and his own personal standards, his dating pool is limited to maybe 1 – 5% of the United States. Despite being cognizant of this information, he still predominately, almost exclusively, dates Black women. Yet, as the question in his text suggested, he is not opposed to dating outside of his race. With this in mind, I asked what inspired his question. He said he was sitting at a lounge and two women of relative attraction were sitting on the opposite side. Accurately or inaccurately, he concluded both parties seemed interested, but he had not made a final decision on which one to approach. Thus began our brief text-based conversation, which I have been given the opportunity to expand on here at BlackGirlsAreEasy.com when a few weeks later NC-17 (not his government name) asked if I have anything to share as a guest contributor. 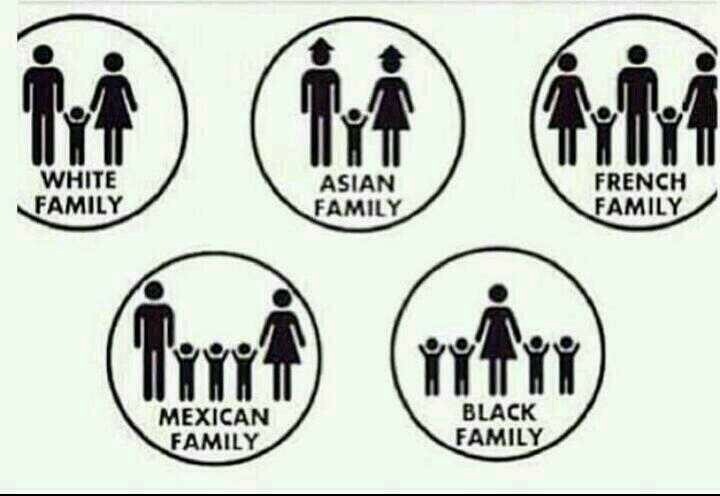 I often view interracial dating the same way I look at buying a home versus vacationing. Over time, people take where they live for granted. If you grew up there, you start to think you have seen it all and you have done it all. Based on a lifetime of experiences, you will have positive and negative opinions about where you live. Some of your opinions are subject to change; others are permanent. Too often people vacation (or hear about a vacation destination others visit) one week out of the year and use that week to generalize how life must be there all the time. This same analogy can be applied to interracial dating. 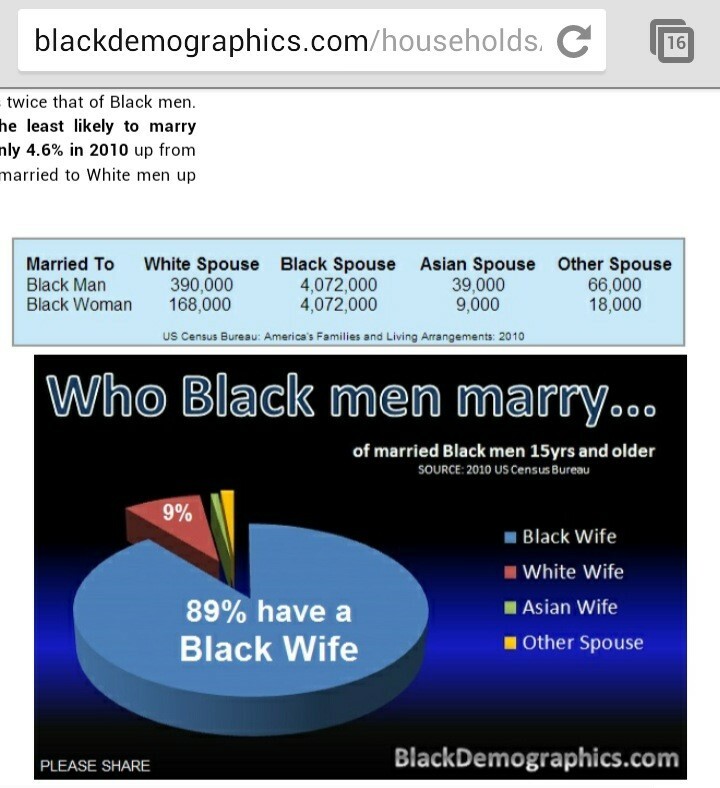 All the interracial dating pandemonium is overblown when you consider in as late as 2010, 9 out of 10 Black men were married to Black women. Extending the earlier analogy, no matter how progressive and post-racial our society has allegedly become, the statistics show that while many of us may vacation in the Interracial Islands, when it comes to buying a home (marriage), we will likely do so with someone who mirrors our own racial, social, and economic upbringing. The real problem does not lie in the fact that Black men are supposedly running off with White women, which they are not, it is the fact that the term “Black” itself is not as monolithic as people, including many Black people, would prefer. When you start mixing ethnicities, with Black-Latino being the largest representation of a sub-cultural ethnicity within the Black Community, the hypocritical ignorance behind mandating what it means to be Black is exposed. 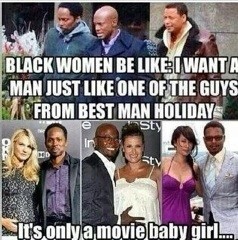 Stated differently, Black men have been and continue to marry Black women, but sometimes they do not marry the type of Black women most people stereotypically envision and define as “Black.” Apparently, for some people in the Black community, you are not Black unless you outwardly represent a visual, stereotypical equivalent of what is really Black as opposed to some other stereotypical, un-equivalent of Blackness. Since all of these terms are made-up anyway, I welcome anyone to define what it means to be Black in the comment section below. A post someone shared with me recently, How Anti-Blackness Shapes Heterosexual Black Men’s Dating “Preferences,” emphasizes this point. The author believes, “Black men loving Black women isn’t enough.” While very well written, I can summarize my thoughts on this post in two words, “I disagree.” But if loving (and marrying) Black women is not enough, it is clear that the barrier for acceptance must be significantly high; perhaps even insurmountable. I make this statement half-heartedly, yet seriously. Most Black people who have had the privilege of interacting with other Black people can confirm that the Black community is divided. Speaking from firsthand experience, I have had my “Blackness” questioned by far more Black people than by any other race. Either I have grown into looking more Black or people my age have simply registered the inappropriateness of asking (or assuming) what I am mixed with. I have been fair-skinned my entire life. As far as I can tell, I will probably die this relative shade of brown. For at least the greater half of my life, my racial ambiguity has confused untold amounts of people. Apparently, people’s inability to derive several instantaneous preconceived notions about my race, heritage, and other assumed stereotypes was too much for some to process. They had to know what race I was so they could effectively pigeonhole me into their restricted views of the world. I share this story because I know it is not a unique experience. You would be hard pressed, if not find it outright impossible, to be on-line for an entire 24-hour period without seeing something #RaceThemed. In fact, if you make it more than one hour, you likely engage with a completely different demographic of Twitter than most people I know. This is most evident when observing the sometimes callous interactions between Black women and Black men on-line. If I did not have real-life to use for comparison, I would honestly wonder why Black men and women even bother to interact with one another on-line given the bitterness in which they do so (at least other races have the common “courtesy” to hide their bias). There are entire blogs, threads, forums, and memes dedicated to increasing the creatively infinite amount of ways that Black men and women manage to expand the gulf between themselves: light-skin versus dark-skin; natural hair versus processed; college-educated versus working-professional (blue collar); and the list goes on and on. In such an environment, it does not surprise me that so many young Black women (and some men) are legitimately concerned about their prospects of finding love with, at minimum, someone who shares their cultural or racial heritage. To end our text, I shared a variation of the above subsection title with my friend. 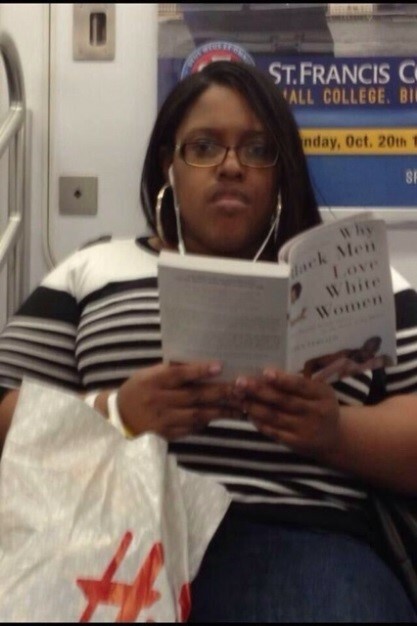 As with any race, White women live a relative, yet different, reality in America than Black women. Some readers, mostly White women, may balk at that statement but literally almost every statistic and respected study on the subject supports this assertion. Arguing about the forces behind why, rather than the indisputable outcomes is a separate post. I want to make it clear that this isn’t a judgment—it’s merely speculation about the way that our societal structure impacts people’s implicit biases and expectations. As a product of the same society, I’m not exempt from these forces myself. The Ridiculously High Rates of Absentee Fathers: I have seen with my own eyes the many unsolicited rejections, even if made in jest (and sometimes in seriousness), Black men inflict on Black women. In far too many cases, as one woman shared with me about her absentee father once, “You’ll never understand the pain of knowing your first rejection came from a man you never met and will never know beyond the DNA coursing through your veins.” If Black women are “defensive” towards Black men, I concede many of them have a pretty defensible argument for feeling that way. Silence of Black men on Black women’s Issues: I have seen many Black men, self-included if I am being honest, quick to rise to the podium to speak to, address, and complain about the many issues that directly impact us—often with the support of Black women at our side—yet become collectively invisible when asked to do the same for Black women. In a current example, I witnessed the rally cries behind justice for 17-year old Trayvon Martin but have not seen the same passion for 19-year old Renisha McBride. Even Michelle Obama! : After reading How Michelle Obama became a feminist nightmare, I can safely assume that if even Michelle Obama is struggling to find the balance (at least in the eyes of her critics) between powerful, educated, working mother, then it must be a pretty damn hard road to navigate. Unfortunately, there are never enough words to address all that plagues the world. This was not my intent. Like with any journey, we have to start with the first step. That is why I spoke on this topic today. Given the negativity behind the veil of anonymity, I have chosen not to use on-line communities as barometers of how positive or negative Black interactions are from week-to-week. I did not want to tell my friend that he should definitely approach the Black woman or the White woman that night based on some clearly defined obligation or exception to why he should make his choice based on race and race alone. Beyond their racial descriptions, I honestly do not know which woman would have been better for him. I am not that clairvoyant. When it comes to relationships, I believe it takes more than the commonality or disassociation of race to find happiness. My goal was to inform him—and those of you who managed to read this far—that even those choices we believe to be our own may be made from a place of subconscious bias. Unrelated to the woman he chose to approach, greater personal growth would come from understanding why he thought to ask the question in the first place. I encourage similar introspection if you ever found yourself asking this question or questioning the decision making of someone else based on the race of his or her partner. Are you honestly making choices based on your own personal happiness or because you were taught making certain choices would supposedly make you happy? Rather than abandoning the race-ship at the first sign of trouble, maybe our community would be better off investing at least some energy into improving our own interactions and relationships instead of believing the grass is always greener on the other side of the White picket fence.